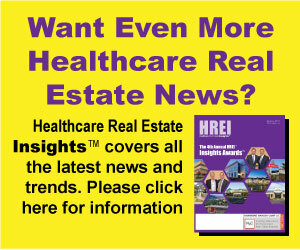 NEWS PROVIDED BY Healthcare Trust of America, Inc.
SCOTTSDALE, Ariz., Oct. 29, 2018 /PRNewswire/ — Healthcare Trust of America, Inc. (NYSE: HTA), the largest dedicated owner and operator of medical office buildings in the United States, announced that it has named Kim Brubeck as the new National Marketing Director. In this role, Ms. Brubeck will guide the Company’s corporate and portfolio related marketing efforts in key demographic markets. “I’m incredibly impressed with HTA’s team, the portfolio, and growth strategy – this position was a natural fit. I’m looking forward to working with the team and expanding HTA’s brand in the marketplace,” stated Ms. Brubeck. Ms. Brubeck was formerly the Principal at Bliss Media and the former Interim Chief Marketing Officer at Media Temple. She brings nearly twenty years’ global marketing and communications expertise and has worked with the AARP, NFL, NFLPA, Pepsi, California Dairy Farmers, Media Temple (now a GoDaddy company), and Geneva, Switzerland’s MCI. Since 2014, she has attended the TED conference in Vancouver, Canada annually as well as the other ancillary TED events around the globe. Another key hire in the Marketing Department this week was Amy Pearce. Amy serves as the Marketing and Events Coordinator focusing on HTA’s corporate sponsorships, healthcare system conferences and tenant appreciation program. In addition to planning and implementing these events, Amy plays an integral role in coordinating HTA’s Corporate Social Responsibility program, which focuses on giving back to the community in which we live and work. Ms. Pearce joined HTA from Phoenix Children’s Hospital where she coordinated all aspects of hospital signature events and community driven events. Ms. Pearce received a B.A. in Education from Arizona State University. Healthcare Trust of America, Inc. (NYSE: HTA) is the largest dedicated owner and operator of medical office buildings in the United States, comprising approximately 23.2 million square feet of GLA, with $6.8 billion invested primarily in medical office buildings. HTA provides real estate infrastructure for the integrated delivery of healthcare services in highly-desirable locations. Investments are targeted to build critical mass in 20 to 25 leading gateway markets that generally have leading university and medical institutions which translates to superior demographics, high-quality graduates, intellectual talent and job growth. The strategic markets HTA invests in support a strong, long-term demand for quality medical office space. HTA utilizes an integrated asset management platform consisting of on-site leasing, property management, engineering and building services, and development capabilities to create complete, state of the art facilities in each market. This drives efficiencies, strong tenant and health system relationships, and strategic partnerships that result in high levels of tenant retention, rental growth and long-term value creation. Headquartered in Scottsdale, Arizona, HTA has developed a national brand with dedicated relationships at the local level.